Living in the city has its perks but with it comes an increased exposure to everyday pollutants. The smog and other grime in the air creates a harmful environment for your skin, which can lead to dullness and premature signs of ageing. In order to protect your skin against free radicals, it’s essential to introduce an anti-pollutant step into your beauty regime. Free radicals are dangerous molecules triggered by pollution which cause cell damage through oxidation and hinder the skin’s natural ability to protect and repair itself. What are the damaging effects of the toxic city air? How to help treat skin affected by pollution? 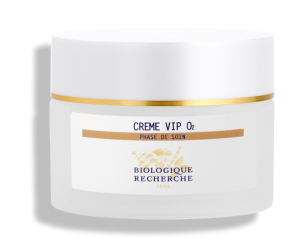 Biologique Recherche VIP O2 range offers a refreshing anti-pollution treatment by increasing the concentration of oxygen on the surface of the skin, which instantly brightens the complexion, leaving it glowing with health. Now reformulated with the latest anti-pollution ingredients, the VIP O2 range protects even more against the degrading effects of the elements. Removing all pollutants and impurities that accumulated on the surface of the skin throughout the day is the first and essential step to create a clean canvas and prevent some damage. In addition to its cleansing properties, this brightening milk cleanser helps the skin ‘breathe’ and reduces the inflammation due to the exposure to external aggressors, leaving the skin fresh, luminous and comfortable. Pollution particles can often go deep and wreak havoc on your skin. These detoxifying products capture the particles present in the skin, eliminate the oxidised cells and repair skin damage created by pollution. 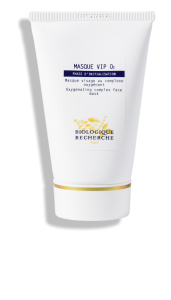 The Masque VIP O2 enhances cell regeneration and revitalisation of stressed skins, brightens and unifies the complexion, and add lipids back into the skin. Apply under the eyes to tone and reduce dark circles. The Crème VIP O2 instantly tones the skin, brightens the complexion and intensely moisturises. This face cream also softens and soothes the skin whilst regenerating and nourishing it. The skin is left hydrated, revitalised and strengthened. 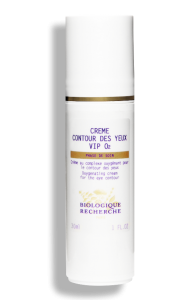 The Crème Contour des Yeux VIP O2 nourishes, soothes and brightens the eye area as well as softens wrinkles and fine lines. It is the best Biologique Recherche eye cream for those affected by dark circles and bags under the eyes. Key to any anti-pollution regime are products which feature antioxidants. 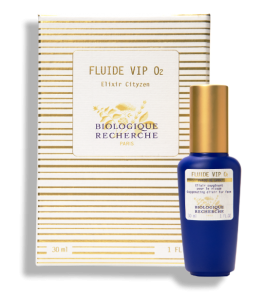 The Fluide VIP O2 is packed full of antioxidants to soothe, diminish red blemishes and protect as it creates a powerful anti-pollution shield. This no-tox product builds a barrier that limits access to cells and neutralises heavy metals. It also boosts your complexion by instantly diminishing the signs of tiredness and dark circles. 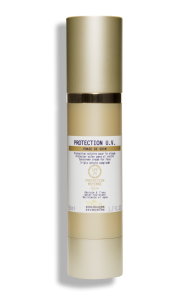 Protect against sun damage with the Protection U.V. To be fully effective, any skincare routine of a city-dweller needs to contain UV protection to shield the skin against the invisible yet harmful UV rays. Protecting against UVB, UVA and infrared rays, the Protection U.V. offers a global defence.